Do you like swapping pickups, or maybe you don't want to solder because you're afraid of messing things up? 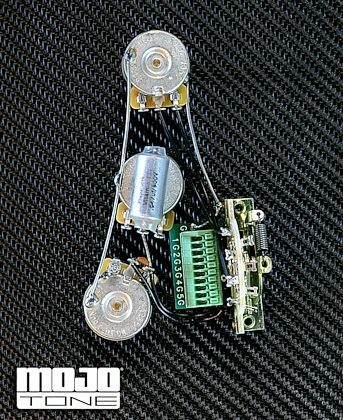 The Mojotone Solderless Strat Blender Guitar Wiring Harness provide the easiest solution and most reliable connections with a simple push and release of a button. 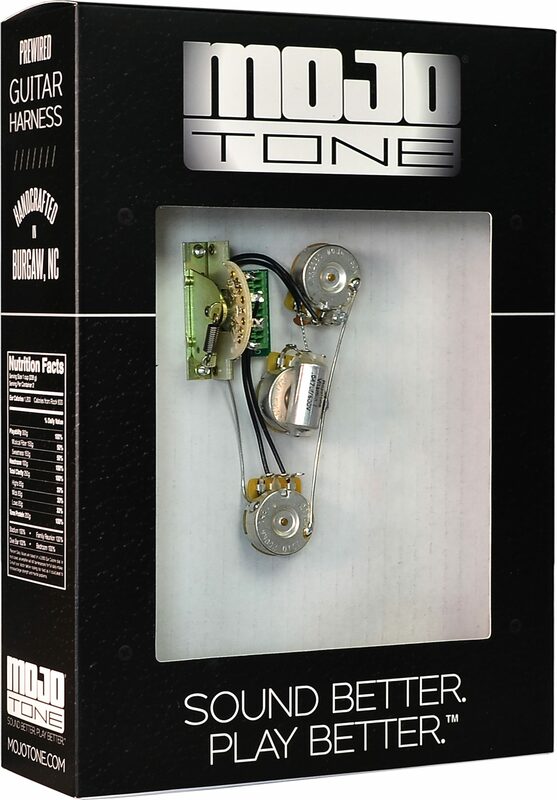 All while offering a superior quality electronic upgrade for your guitar. - Push-in solderless wire connection for easy installation and quick pickup swaps! - Vintage quality USA branded components (Switchcraft, Mojotone, CRL, and CTS)! - USA made CRL Switch! It's the most reliable and smoothest feeling switch ever made and hasn't changed since the 50's. - Smooth custom taper, CTS industrial potentiometers with solid brass bushings and the tightest tolerances available.